Him: Anything going on tonight? Me: Nope, just the usual. Him: Well, there is football. Me: O that’s right – who’s playing? Him: The Redskins & the Eagles. Me: Rats. I’m not really in to either team. 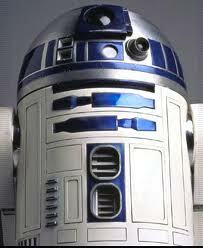 Especially not as long as the DC team goes by “Redskins.” But I am curious how their quarterback R2D2 does. Him: Mom? I think you mean RG3. Right. My brain, having grown up with the Star Wars franchise and not NFL football, defaults to what is most familiar – R2D2, the name of the adorable sidekick, is burned into my neural pathways much deeper than the name of the Washington DC football team’s quarterback. Neurons have run along that R2D2 road hundreds of times more over the years. Me: So, you’re sending me home with a prescription for lots of oxytocin, right? Him: Huh? I think you mean oxycontin. Me: Right. That’s what I meant. “Oxytocin” is much more familiar to me, given all the reading about the brain I’ve done, than “oxycontin,” as until now I haven’t needed high end pain relief. So in grasping for the right word, my brain hit the pathway most familiar to it – Asking for oxytocin when I meant oxycontin. But there’s this whole new evidence of oxytocin’s effects that really intrigues me: It inhibits aggression and irritability at the same time it promotes pro-social interactions – so we can trust one another. Low levels show up when we feel insecure, high levels help us feel confident and more tolerant. So if the neurologist slogan “what fires together” (when neurons fire at the same time) “wires together” (forms connections, stronger and stronger each time,) is true, then get out there and put yourself in some oxytocin-rich situations! Here’s an example of how we can take responsibility for the wiring of our brains: Pet a dog. Hug a friend. Hold a baby. Interact in person with someone you care about. It’s literally good for your brain.